There can be a surprising amount of amphibian and reptile activity in Scotland’s busiest cities, like Glasgow, you just need to know where and when to look for it. 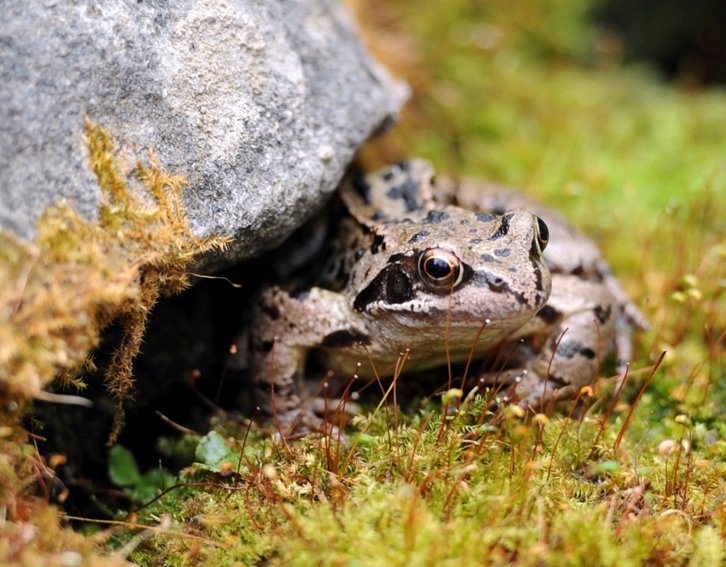 The two most likely species to come across are the common frog and common toad, especially in spring when they breed in ponds and their tadpoles can be seen in their thousands! The rest of the year adult frogs and toads aren’t usually found in water. Instead they spend the summer months in dark, damp areas, such as under garden huts, and in the winter they will be hibernating in warm, damp places like inside a large log pile. Watch out for the tiny froglets and toadlets emerging from ponds in autumn. There are also small populations of newts in urban parks and gardens and it’s not unheard of to find reptiles like the common lizard on the edges of cities. However, the habitats for these animals are greatly decreasing in urban areas as more green spaces are cleared for new developments. Decreases in available breeding habitat, such as ponds, is having a major effect on the number of animals left. Unfortunately, this is a trend seen worldwide with amphibians and reptiles being more threatened with extinction than birds and mammals due directly to human activities. That’s why Froglife encourage people to transform their gardens, however big or small, into havens for wildlife as part of our Scotland-wide Scottish Dragon Finder Project, funded by the Heritage Lottery Fund. Our Dragons in your Garden wildlife workshops teach gardeners how to garden for wildlife and our practical sessions have involved lots of muddy pond creations! 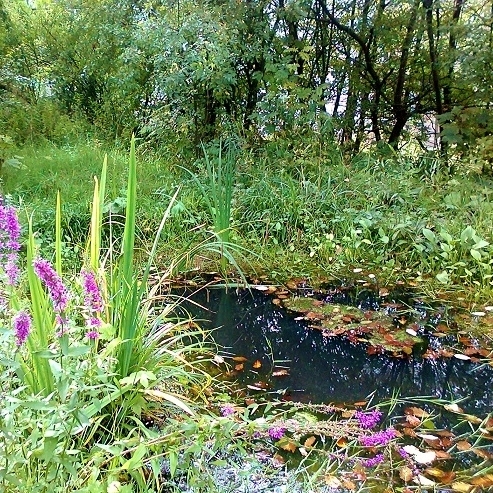 We also offer free pond building advice in our ‘Just Add Water’ information booklet, which includes details on creating ideal places for amphibians and reptiles to breed, feed, bask and hibernate. This is available to download from our website (www.froglife.org) where you can also find lots of facts and information on our native species and our Dragon Finder app. The app helps you to identify amphibian and reptile species and allows you to record any sightings, letting us know exactly where these creatures can be found. Join Froglife for pond dipping on the 26th of July in Kelvingrove Park as part of the RSPB’s Glasgow Wildlife Garden Festival bioblitz. Use the bioblitz booklets to record any amphibian and reptile species you spot across the city and be sure to submit your sightings to Froglife via our Dragon Finder app. Watch this space for the Glasgow bioblitz booklets, coming soon! More information can be found about all the festival events here.